Taking a page from its own successful iPod playbook, Apple this year is pushing a new lineup of bright, colorful iPhones as its mass-market smartphone for the fall of 2013. Perhaps most telling of Apple's expectations for the iPhone 5c is the fact that it is the first product displayed when someone visits the company's website. The iPhone section of the site also leads off with the iPhone 5c, getting top billing over the iPhone 5s. Available in a range of five vibrant colors and with a subsidized starting price half that of the iPhone 5s, the iPhone 5c is in an interesting place in Apple's new iPhone lineup. The company has opted to discontinue the iPhone 5, though the iPhone 5c has many of the same parts and features as its predecessor. Apple has adopted a playful, fun strategy in marketing the new handsets, pitching them as "for the colorful." Priced at $99 with a two-year wireless agreement, the new plastic-backed iPhone 5c ships in white, red, yellow, blue and green. Apple has adopted a playful, fun strategy in marketing the new handsets, pitching them as "for the colorful." 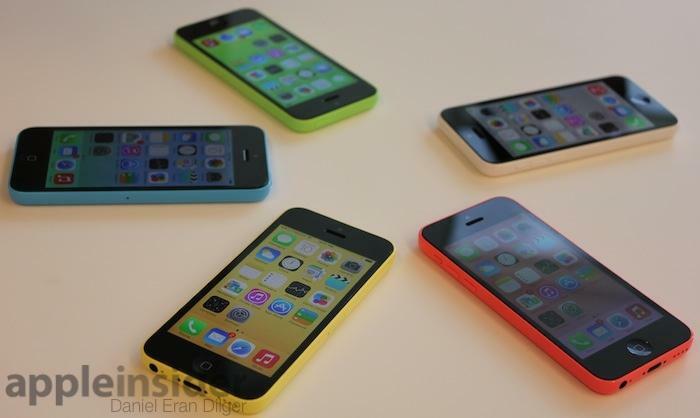 The focus on color has even extended to the iOS operating system, as default wallpapers installed on iPhone 5c units will match the color of the plastic external shell chosen by the buyer. Colors are also the key focus for new, quirky cases Apple is offering with the iPhone 5c. A series of circular holes on the back expose the color of the iPhone underneath, allowing users to mix and match color combinations as they see fit  a total of 30 possible combinations with six different case colors and five different iPhone 5c colors. 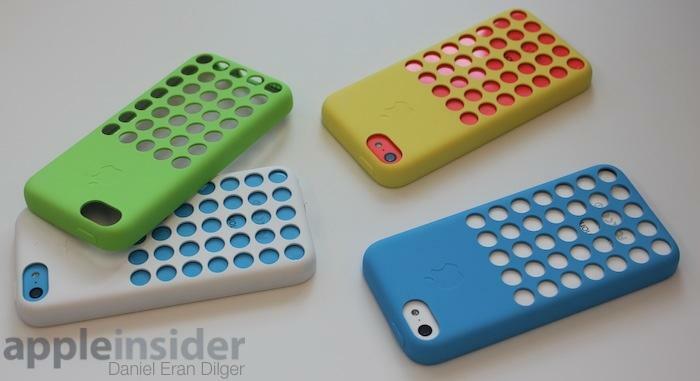 "Unlike most cases, these weren't designed just to add protection," Apple has said about the official iPhone 5c cases. "They were designed to add fun." The use of bright color options to sell products is nothing new for Apple. In one of his first acts as returning CEO, late Apple co-founder Steve Jobs introduced the iMac in 1998 in a presentation in which he panned current desktop computers as "ugly." As part of his comeback strategy for Apple, Jobs unveiled the unique, transparent, curvy and colorful "Bondi Blue" design of the first iMac G3. Advertisements for the all-in-one computer portrayed it as "Chic. Not geek." "The whole thing is translucent, you can see into it  it's so cool," Jobs said onstage, as all sides of the iMac were being shown to the audience via a wireless camera. "The back of this thing looks better than the front of the other guys'," he went on to say. Apple's iMac G3 was released in a total of 13 different "flavors," making it one of the most colorful products in the company's history. Apple also pushed the fresh look of the new iMac in a series of commercials featuring the voice of actor Jeff Goldblum. In one television spot, Goldblum noted that the iMac was "more colorful" than the competition currently on the market. Of course, the key to Apple's strategy with the first iMac "G3" was not just its color. The desktop was also somewhat controversial at the time for omitting a 3.5-inch floppy disk drive  a legacy feature that virtually all computers at the time included. 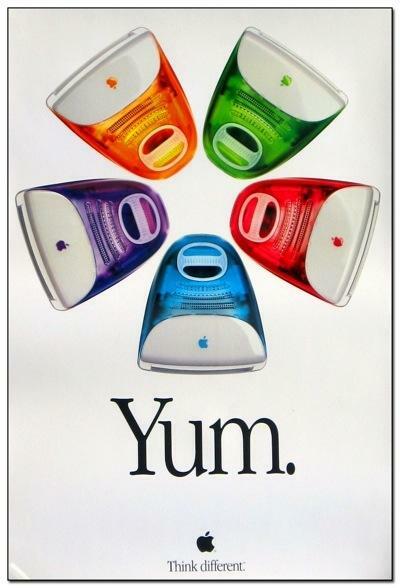 But colors became even more important to the G3 iMac in January of 1999, when the "Bondi Blue" shade was replaced with blueberry, strawberry, tangerine, grape and lime. In all, the iMac G3 was eventually released in a total of 13 different "flavors," which also included graphite, ruby, sage, snow, indigo, and the psychadelic "Flower Power" and "Blue Dalmatian" configurations. Of course, this strategy is not new for Apple. When the company introduced its all-new iPod mini in 2004, that product was also available in five colors. A year later, the iPod mini was replaced by the iPod nano. And as the iPod lineup kept growing, so too did sales. Through 2004, Apple had sold 10 million total iPods to date. But by mid-2007, with the iPod classic, mini, nano and shuffle all having hit the market, the company reached sales of 100 million iPods over the product's lifetime. The variety of colors available in the iPod lineup eventually became a key selling point for the products in the company's television and print advertisements. Now, in 2013, the iPod is on its way out, having been cannibalized by the iPhone over the last six years. While the iPhone has become Apple's new cash cow, the company has only introduced one new model of iPhone every year. This year, the company tweaked its strategy with two new iPhones. So far, the iPhone 5c promotional material has reminiscent of the classic, colorful iPod ads, celebrating fun and variety. Whether the iPhone 5c will help grow sales of the iPhone lineup the same way colors and variety made Apple's iPod the dominant media player of last decade remains to be seen.